We’re thrilled to be opening the new work from Lally Katz, Return to Earth, at the Fairfax Studio next week. Known for her off-kilter work – The Australian once described Lally’s imagination as a ‘parallel universe’ – a Katz script provides a fertile launching pad for some very interesting set and costume designs. A sinister bear met a number of unhappy characters in our 2009 Studio Season production of The Apocalypse Bear Trilogy, while at the Malthouse Theatre earlier this year audiences saw a Rabbi fashioning an avenging monster from the mud in A Golem Story. So naturally, we were on the hunt for a set and costume designer familiar with the slightly surreal to bring Lally’s latest play to life. Having worked with us on 2010’s Dead Man’s Cell Phone, designer Claude Marcos was chosen as the man for the job. He returned to MTC in March this year to begin working with Director Aidan Fennessy on the set and costumes for Return to Earth – a task which required combining Lally’s detailed stage directions with his own ideas about the design. One of the challenges Claude faced was to create the various settings for the play within the one space. 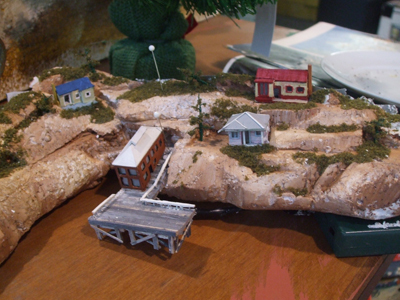 Hidden within the set is a beautiful detailed model of Tathra, the town in which the play is set. Claude spent many weeks researching the town and looking at real-estate photos for inspiration, before creating a 1:25 scale model which our workshop and art departments used to build the final full-size model. The finished product is now one of his favourite parts of the set. 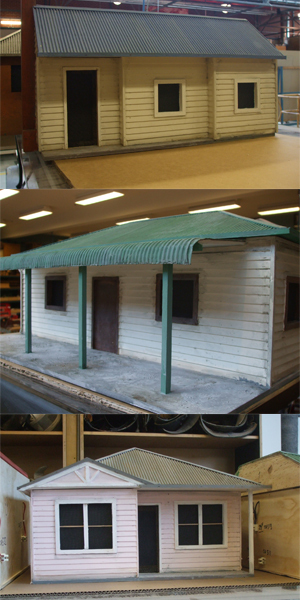 The 1:25 scale model of Tathra created by designer Claude Marcos. 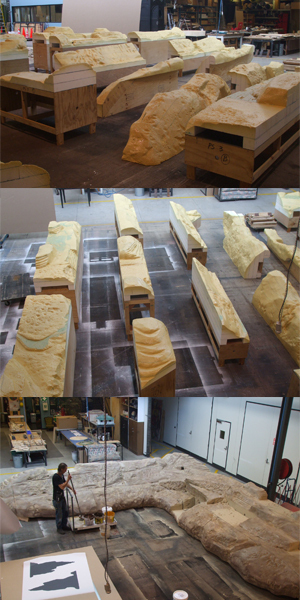 Below, you can see some of the work done by our scenic art and props departments to turn Claude’s model into a reality. Creating the full-size version of Tathra: our scenic art team assemble a jigsaw puzzle of individual set pieces and begin to add contour with a series of airbrushed layers. A selection of the miniature houses featured in the Tathra landscape. ‘The set is simple and deceptive. I hope it encourages an audience to use their imagination and engage with the beauty of Lally’s writing,’ Claude said. Previews for_ “Return to Earth_ begin this Friday at the Fairfax Studio.